The pre-E3 rumours continue unabated this week, with the latest reports claiming that Microsoft is readying an avatar system similar to the successful ‘Mii’ character building system on the Nintendo Wii. The reports emerge from NeoGAF – the buzzing online hive of gaming rumour and speculation. In addition to Xbox 360 "Avatars" there is also a bunch of new information on Forza 3, Silicon Knights’ next game for Sega, Activision’s two massively successful franchises - Tony Hawk and Guitar Hero World Tour – and more. 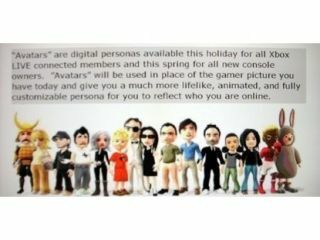 * Microsoft will roll out "Avatars", customizable characters that you create and who represent you when you're online with Xbox Live. * The next Tony Hawk game comes with a motion-sensitive stand-on skateboard controller that sounds a lot like the Wii Fit board. * The big innovation for Guitar Hero World Tour's guitar controller is a touch-sensitive fretboard that lets you slide up and down for analog solos during songs. * Forza 3 for Xbox 360 is so gigantic -- over 100 cars -- that it will be sold as a two-disc game. * There's a video for a game called Crucible, which some are speculating is Silicon Knights' game for Sega, which is rumored to be titled The Crucible: The Evil Within. The mere fact that all the above information was accompanied by screenshots, artwork and videos strongly suggests that the above pre-E3 leak is pretty much on the money. Stay tuned for more pre-E3 leaks, rumours and reports as and when we get them.